Thatcher Kezer, who oversees the former Fort Devens, says its streets are well suited to testing autonomous vehicles. There’s not much traffic on the streets of Devens. The community’s manager, Thatcher Kezer, likes it that way, and not just because it makes for a fast commute. Kezer thinks the lightly traveled roads of this former Army base make it an ideal place for automakers to conduct real-world road tests of self-driving cars. There’s just one problem: Testing autonomous cars on public roads isn’t legal yet in Massachusetts, and there’s no telling when it will be. With its world-class robotics industry, the Bay State should be a major force in self-driving vehicle design. The Japanese automotive titan Toyota Corp. has joined forces with the Massachusetts Institute of Technology to establish a $25 million autonomous car research lab. And a number of local startups are developing the software brains behind self-driving cars. Eventually, they will need to be tested under conditions that simulate the real world. 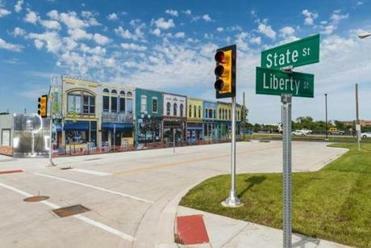 Ford Motor Co., in cooperation with the University of Michigan, has constructed “Mcity,” a 32-acre simulated town in Ann Arbor, Mich., complete with traffic lights and pedestrian zones — and old Hollywood-style fake building fronts. General Motors, Honda, Toyota, and Nissan also make use of the site. One academic institution has already tested there, Kezer said, but he won’t identify the school. Still, vehicles must eventually be tested in the real world. Nevada, California, Florida, Michigan, Tennessee, and the District of Columbia have passed laws to allow the use of self-driving cars, while Arizona Governor Doug Ducey issued an executive order to that effect last August. Cities in other states have made special provisions for limited street-testing of vehicles. But neither of these options are available in Massachusetts. That’s a problem for local automotive technology startups that don’t want to leave town to test their creations. The Mcity Test Facility at the University of Michigan is designed to test new automotive technologies in a simulated town. For example, nuTonomy Inc., a self-driving car developer in Cambridge, tests its software for electric vehicles in Singapore. Karl Iagnemma, cofounder and chief executive, would rather stay closer to home. State Senator Brian A. Joyce has drafted a bill to legalize autonomous cars in Massachusetts that is currently pending in the Senate Rules Committee. Some states that haven’t passed such laws have nevertheless permitted vehicle testing on public streets. For instance, the ride-hailing company Uber has run trials of a self-steering Ford Fusion on the streets of Pittsburgh, while Austin, Texas, has welcomed Google Inc. to town for tryouts of its autonomous cars. The city of Boston has no official policy on self-driving cars, though Chris Osgood, Boston’s chief of streets, said “we are currently doing an internal regulatory review” on the matter. But before Boston or any other municipality in Massachusetts could permit vehicle tests, the state Department of Transportation would have to grant approval. The agency said it would need to know a lot more about such vehicles before giving permission. “Operation of autonomous vehicles using new types of equipment and technology, in testing or otherwise, would require additional information before a final decision could be made on introducing them onto public roads for testing purposes or public operation,” said MassDOT spokesman Ryan Grannan-Doll in a statement. There is good reason for caution. The revelation last week that the owner of a Tesla S was killed in Florida in May while operating his car in “autopilot” mode shows that the limited autonomy features of today’s cars are far from perfect. So regulators may take their time allowing fully autonomous vehicles on the state’s roads. Still, researchers are finding ways to test driverless cars in Massachusetts. The city of Somerville is working with German carmaker Audi, which is developing a “piloted parking” system that it hopes to test at a parking garage in the Assembly Row development next year. 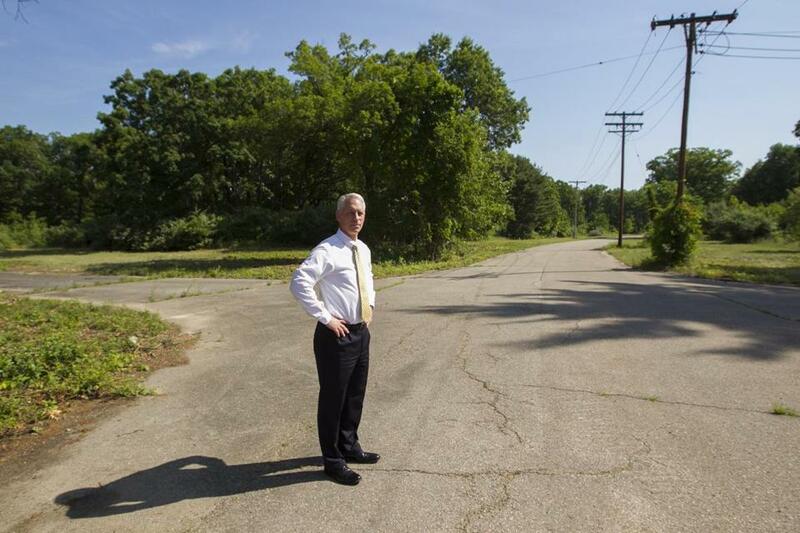 Because the lot is privately owned, there’s no need to seek MassDOT’s permission. Audi will test cars that drop off passengers and park themselves — but only in a private Somerville garage. In this system, drivers would get out of their vehicles at the entrance to the lot. The car would then drive itself to the nearest parking space. Because cars would be unoccupied, the parking slots don’t have to be wide enough to accommodate the car’s swinging doors. 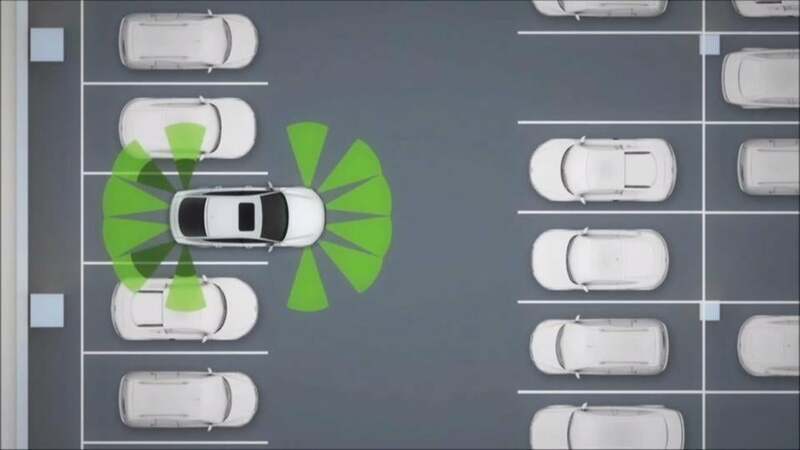 Audi estimates that a piloted parking lot could squeeze up to 60 percent more vehicles into the same space. Audi and Somerville will also create a system to test the technology that will be used in self-driving cars, using so-called smart traffic lights that transmit data. The city will retrofit traffic lights at several intersections, and specially equipped vehicles will be used to conduct tests of the radios and software. While the tests will be done on public streets, the cars will be driven by humans at all times. Ryan Chin, cofounder and chief executive of Optimus Ride, a Cambridge maker of self-driving car software, said there’s some value in testing vehicles in the placid environs of Devens. But he’d prefer a bigger challenge: the streets of Boston. “We have a unique road network, we have unique weather, we have unique drivers,” Chin said. In conversations with city officials, Chin has broached the idea of an “autonomous zone,” a portion of Boston where self-driving cars would be given free rein, and human-operated vehicles would be restricted or banned. Visitors would travel within the zone by using automated taxis, perhaps provided free of charge. Such an experiment could help put Boston at the leading edge of autonomous car research. “There’s no place in the world who has this,” Chin said. But for now, there’s no legal way to put autonomous cars on the streets of Boston, Devens, or any other part of Massachusetts. Kezer thinks that needs to change, and soon.